So here I am, in the dark, toiling alone at my keyboard, just as I have in years past. I’ve created poems of my own, along with short stories, essays and a small library of unfinished, unread (and probably pretty awful) novels. I thought, when I started this, that it would be a group endeavor. My friends are all remarkable storytellers in their own right, and together we’ve shared (endured) some rather remarkable adventures. I even offered to lend my editing skill, so as no one should feel that they embarrassed themselves, but alas, it seems they’ve left me alone here in the distant reaches of cyberspace, speaking forever into the void my tales that none shall hear. And to do this, I pay WordPress $18 a year. And it’s gone up a buck since last year (don’t think I didn’t notice, WordPress). But, damnit, if I’m going to pay almost $20 for a domain, I’m going to use it. I’ll find something to post here, by golly. A man need not appease an editor to publish his thoughts and ideas, no, not here at the edge of the Internet! Though the universe need not care what I have to say, that’s no reason not to say something anyway. So, my chums seem to have abandoned me? This isn’t the first time I’ve been left alone. At least I’m not passed out drunk in a campground bathroom outside Moab (looking at you, Scottsky). At least I’m not a bleached-blond ghost wandering senseless the streets of Long Beach (yeah, that’s right, Camo), or a singularly uninteresting chap who doesn’t drink but suffices to look cute and fall down a lot (Joey). What say you, BOB? FRU? Spouse of Joey? Spouse of, well, me? No one? Not one of you other contributors has anything to say? No opinions? No stories to tell, observations to make, ideas to illuminate this dark sphere of digital perusal? No? Nothing? Or is it a matter of time? Granted, not all can be the abundant purveyor of prose such as I. Writing well takes time – which is precisely why I don’t do it. Because it’s lonely here, keeping this silent watch, and the blog in the state of nature: inane, boorish and short. frumonster and Elliott on a particularly hard morning after a particularly long night. I’ve always said, if I am to be judged by the company I keep, let it be known that I’ve kept the council of kings. The author Raymond Chandler once wrote of the private investigators in his stories and novels that they had to be the best man for their world and a good enough man for any world. It’s not about always doing what’s right; it’s often a matter of having a good reason for doing the things you know are bad. For someone who comes from a family of dysfunction, like me, friends wield an incredible degree of influence. They’re the ones who help shape your morals, your character and your sense of self-awareness. It is with them that you learn the things of which you’re capable, and the things where you’re destined to be bested by someone else. They empower you by challenging you. The wicked pull you down, the good make you better. thepittmite is in this picture. This was not, however, a picture of thepittmite. Rare it is these days to keep the company of individuals with whom you can be utterly vulnerable. Whereas, not in society’s distant past, we found safety in numbers, now many of us can live long and healthy lives utterly alone, save for the few pleasantries that are necessary for the checkout clerk at the store and the lady running the drive-through window. We can isolate ourselves almost completely, and still no roving band of wolves will carry us off. It’s becoming more and more possible to live as an island, lessening the need to maintain strong and trustworthy ties to others. But, if you know the right people, the maintenance of those ties are what makes life fun. Time without my friends is like time in the shade for a plant – I can survive, but I’ll never thrive without them. I’ve been blessed to have intelligent, witty, shrewd and thoughtful friends since I was a boy barely growing his first mustache. 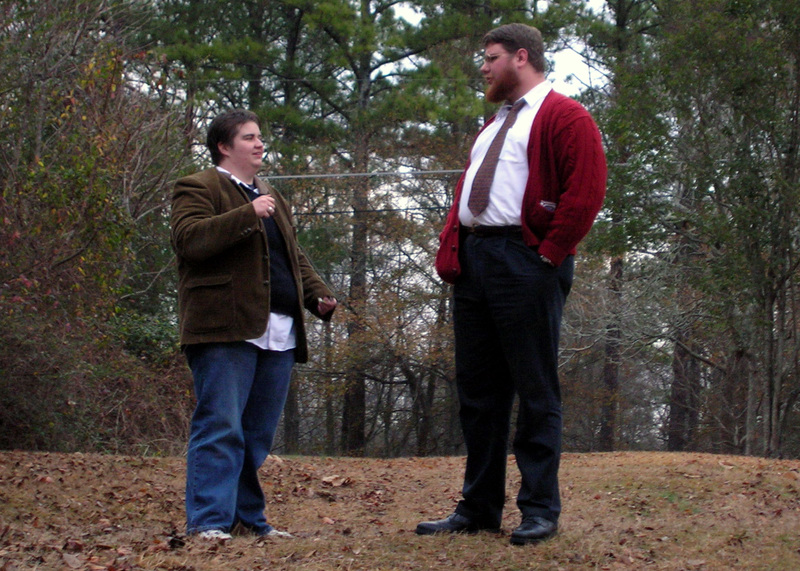 From thepittmite and Elliott (also bloggers on this site), who shared a backyard border and bus route, and who were unaware for some time that they both knew me way back in middle school to the times spent with our feet propped upon the rear bumper of my Bonneville in Elliott’s driveway, a tub of QuikTrip soda and a pipe in hand and jazz in the air with our fearless comrade frumonster pontificating on all manner of things. 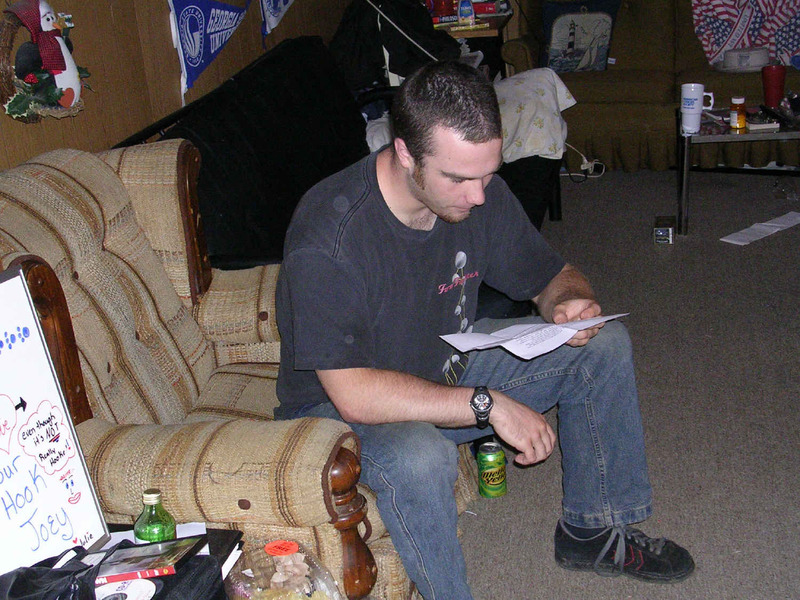 In college, thepittmite – a friend since sixth grade – frequently came to sit in my basement and talk until late into the night. He began bringing Joey. Then Joey began coming on his own. Then Joey began bringing Cameron. Then Cameron began coming on his own. Friendships change and evolve – that’s the nature of the things – but the question is why they endure. 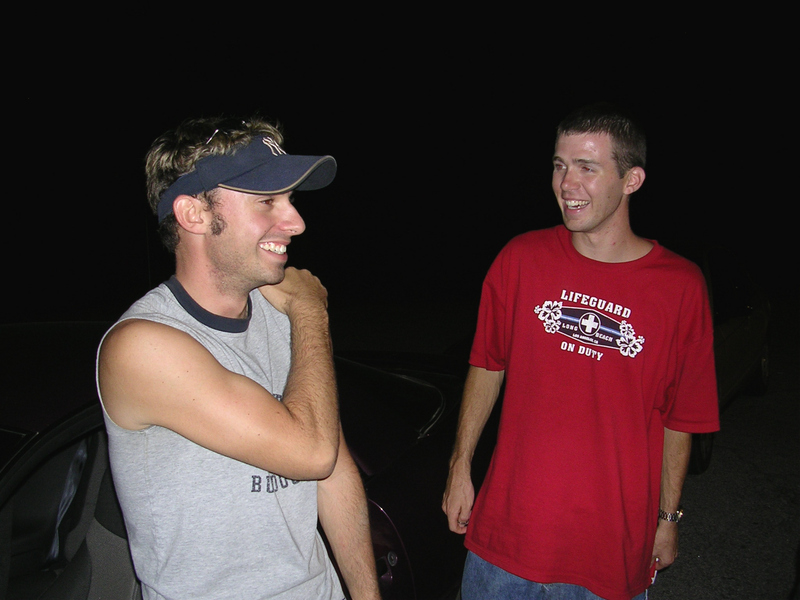 A testament to friendship and brotherhood is the capacity to spend two full weeks sharing the same space – a tent, a car and a small number of small motel rooms – in strange places, relying on one another for safety and survival and, over the course of those two weeks, to pull off a nationwide adventure with nary a spat or sore nerve. A testament to friendship and brotherhood is completing not only one another’s sentences, but complete trains of thought, taking up character traits that others see as flaws but agreeing that they are, in truth, some of the things that are best in us – a capacity to drink copious quantities of hard liquor and consume pounds of tobacco, often in the course of a single sitting while still managing interesting things to say; or being prepared to pursue the most brutal and violent acts with a schoolgirl’s giddiness – so that your sense of self is counterbalanced by a funhouse mirror of a man. S.M., figurin' on some words and such. A testament to friendship and brotherhood is the capacity to clash, put distance and time between encounters and still count one another among the closest and most trusted of companions, fretting for one another during down times and toasting one another when we’re back at the top again. A testament to friendship and brotherhood is to form a bond, cemented by late nights and Check Cola, that endures nearly 20 years through lives that have, in some instances, taken vastly different courses to arrive at roughly the same points and still have the same inclination to support your old allies at a moment’s notice. And then, some many odd years later, you drop about $20 on a domain name and pick some random design and start a blog with your buddies, drawing sometimes a hundred or so hits a day and calling that a huge accomplishment, establishing a new forum to share the stories and sentiments as you did years ago in a dozen different forums, only now with a new venue and, perhaps, a larger audience. My friends are my brothers. They are good people. I’m proud to have their backs, and I’m comforted to know that they have mine. Transgressions pass, but it looks like these bonds were built to last. I am proud to be in their number, and better for knowing them so well. Cameron and Joey, just being adorable.